Going Gluten Free for Thanksgiving this year and confused about where to start? 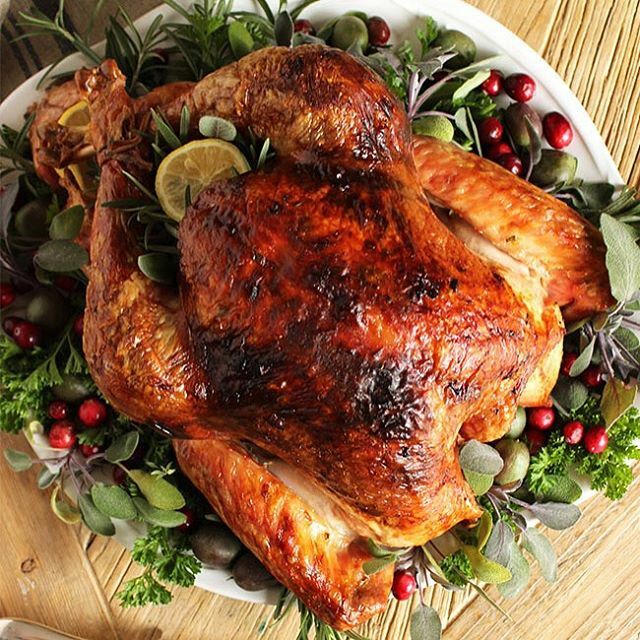 We’ve done the research for you and pulled together a classic Thanksgiving Menu sans gluten! 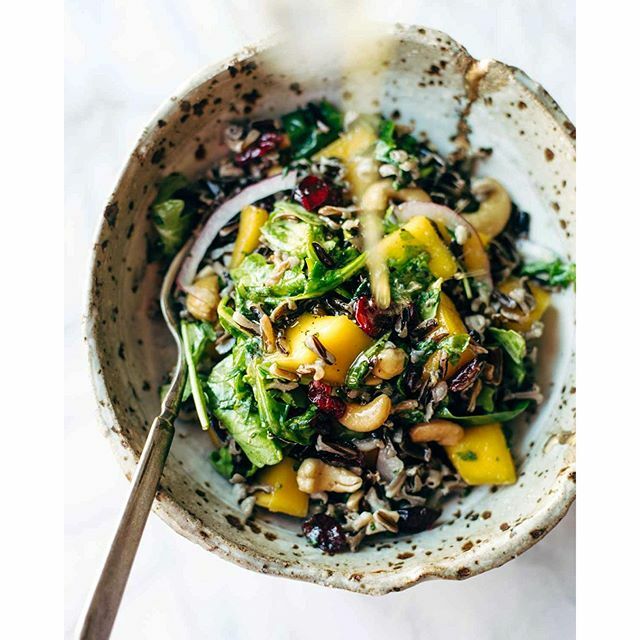 Start things off with this flavorful salad full of wild rice, juicy mangoes, tart cranberries, peppery arugula and a zesty orange and lemon dressing. If you want to stick to more classic Thanksgiving flavors, replace the mango with green apple. The secret to a creamy cauliflower potato? Adding a white sweet potato! 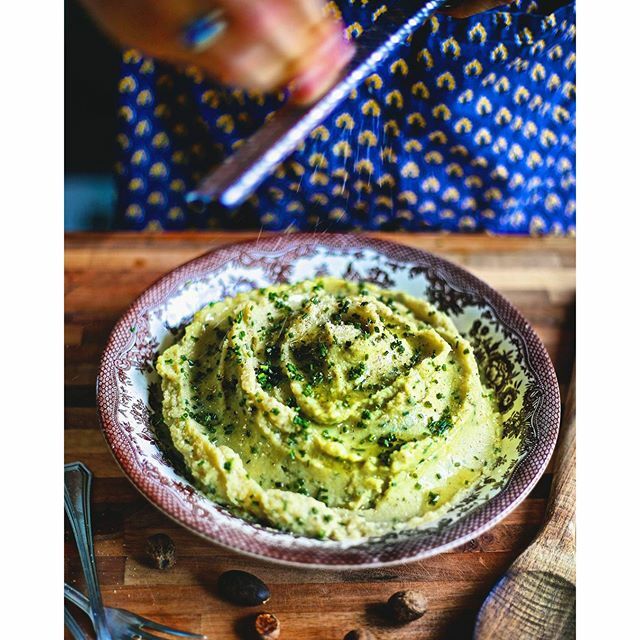 It will tighten up the cauliflower and give a texture similar to traditional mashed potatoes. 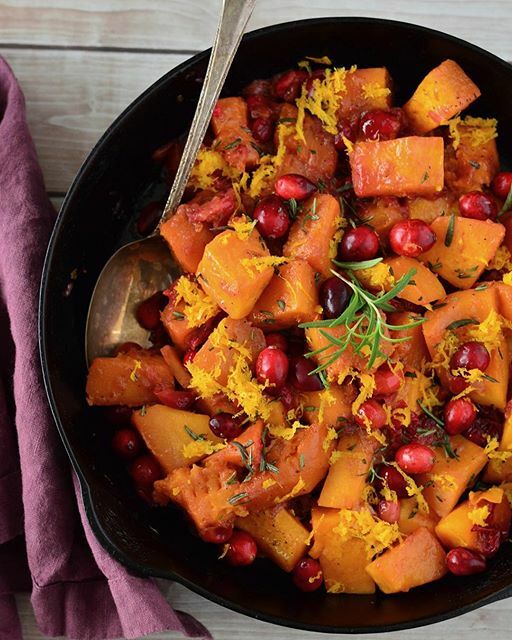 All the flavors of fall in one dish! You can whatever type of squash you prefer here. Also, cook this the day before. The flavors will be even more pronounced the next day. Just reheat on the stove top, or in the oven with a little apple cider, if needed. This dish is so simple, yet so complex. 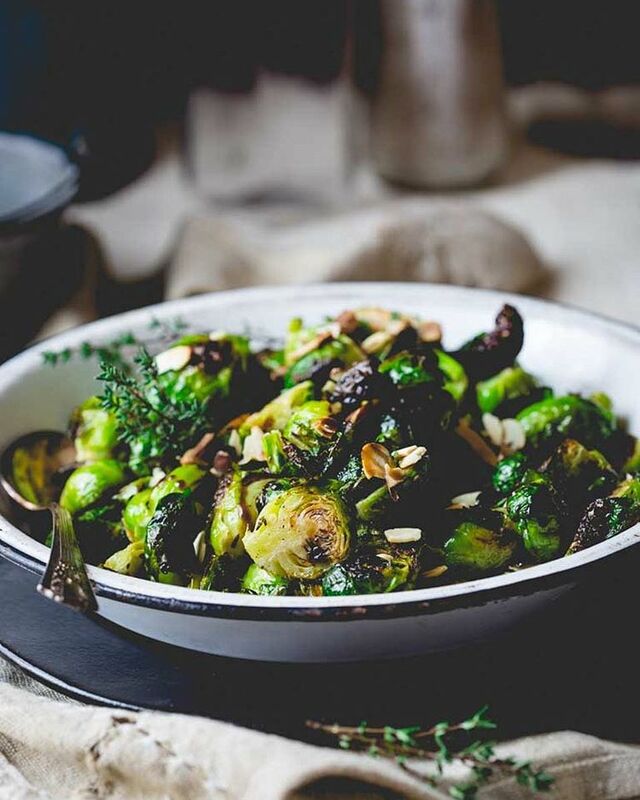 Roasting the Brussels Sprouts with balsamic brings out their sweetness and aids in caramelization. The star of the show! This turkey is generously coated with a citrus and herb butter before it roasts in the oven. 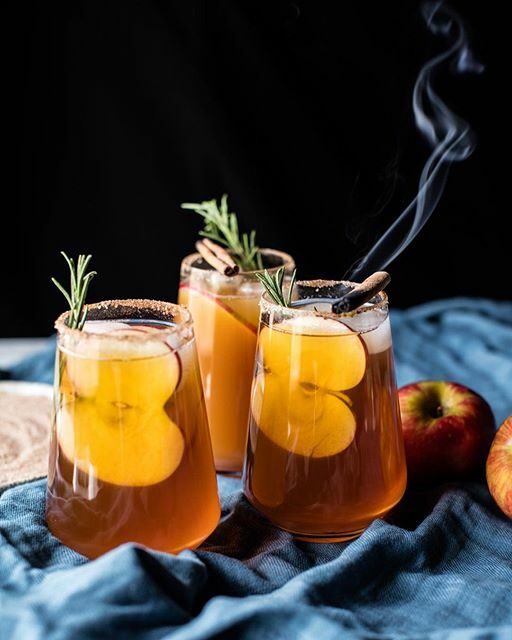 Get cozy and festive with a batch of these spiced apple cider margaritas! You can make these as a batch cocktail, which is perfect for entertaining large groups. Plus, the cinnamon sugar rim make these irresistable! A no-bake naturally gluten free Thanksgiving dessert? Yes, please! 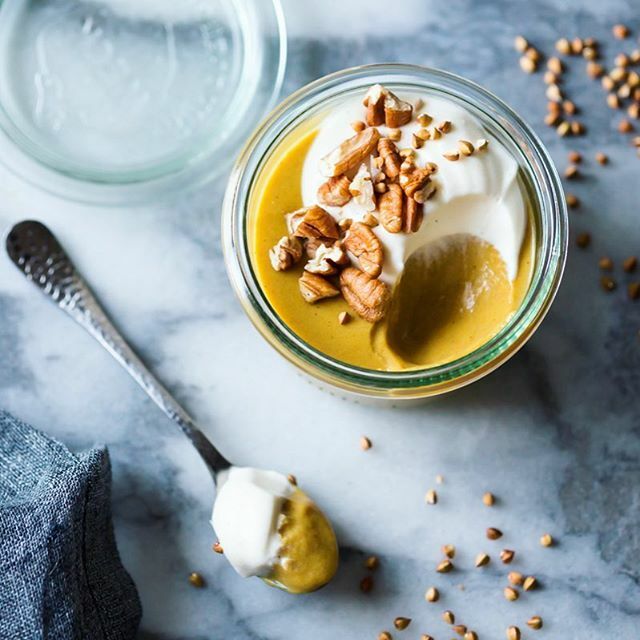 This creamy butterscotch pudding is made with unsweetened pumpkin puree and is spiced with turmeric, cinnamon, nutmeg and allspice. The tangy mascarpone whipped cream adds just the right amount of sweetness! 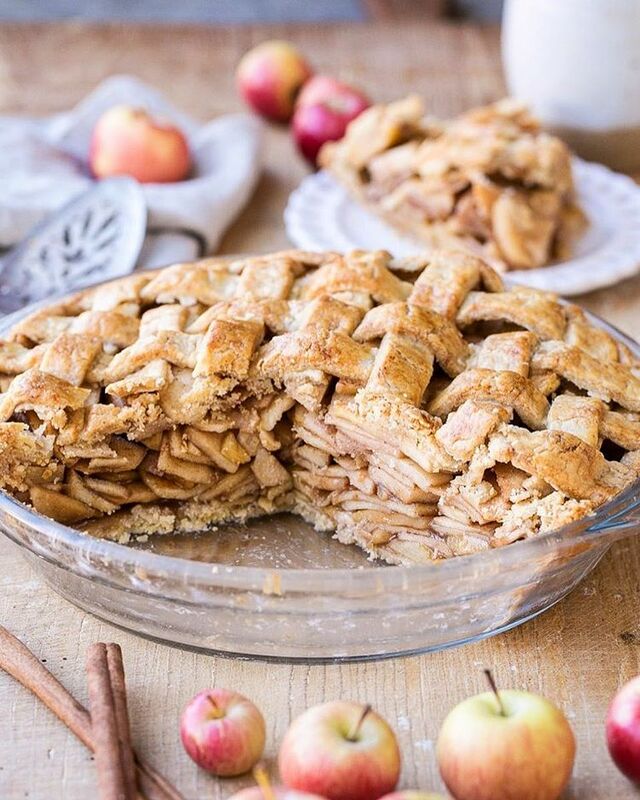 Going gluten free doesn't mean you have to skip the pie! This beautiful lattice crust is made from a mix of almond and tapioca flour.